Click the link to download a copy of "How to Read Ukulele Tablature." This will help you become a ukulele playing genius. At least that's what you'll look like and sound like to your friends. Watch this video to learn how to change your ukulele strings. It has clear, close up shots that show you exactly what to do. It is really easy once you've done it a few times. 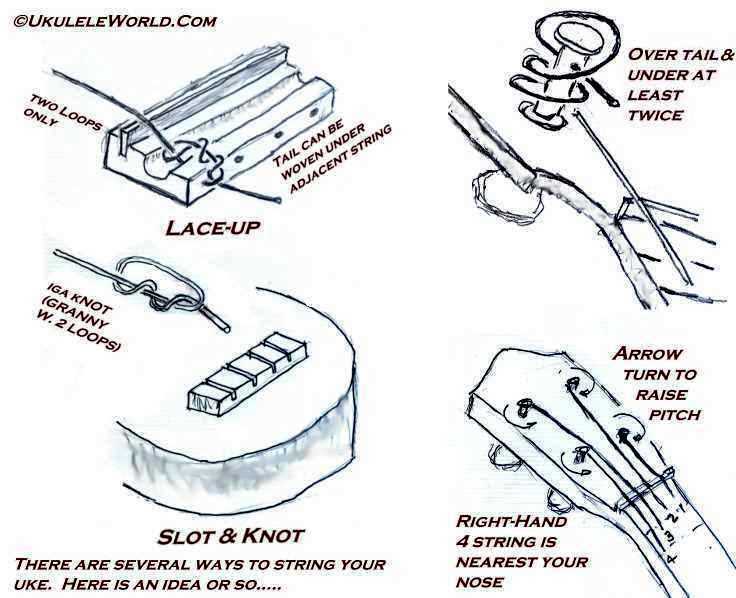 Click on the link below to download and document that illustrates and describes knot-tying directions for both types of ukulele bridges. ​Changing strings on your uke is impossible if you don't know how to tie the knots!